Our Outbound Lead Generation programs are designed to identify and manage prospects throughout all stages of their decision journey, from unqualified leads to sales-ready leads. Lead Generation has changed a lot over the years. It used to just be sales people attending events and conferences, sitting in a booth at a trade show, or making cold calls. But, in the New Economy of hyper-competition, you need effective and robust sales lead generation strategies. The great thing with our Lead Generation is prospects will feel they’re starting the conversation with you instead of you chasing after them. And that means you can focus efforts on qualified leads who are genuinely interested in your business. Our in-house B2B database has 1,500,000 businesses with 3,500,00 decision makers across 23 Asia Pacific Countries. Our Data Bank records are 90% accurate and 100% phone validated. Exhaustive measures are taken to ensure that records are maintained at the highest quality. Leverage on our unparalleled B2B database with in-depth intelligence of the Installed base profiles to identify and build sales-ready leads. To execute result-driven lead generation programs B2B marketers must have the Right Target, the Right Techniques, the Right Team and must reach them at the Right Time. How many qualiﬁed sales leads could you generate with your limited sales force? We have hundreds of lead qualifiers with unparalleled access our largest B2B database will identify new opportunities every day. Focus on your sales effort to convert our high-quality leads into sales. Nurturing leads require well-defined process to track and develop into opportunities. It begins with an unqualified lead (suspect) entered into a nurturing progress by segmenting based on its behaviors and subsequently offers are made based on that segment. With the on-going nurturing process sales ready are routed to sales while non-qualified leads will be moved to the next phase in their nurturing process to increase sales-readiness. During a lead generation program, not all leads identified are equal. The vast majority will buy, but not today and some leads will never buy at all. In fact, according to research statistics only 8% of leads are sales ready when salespeople get them. Another 25% will buy within 12 months and another 35% within 24 months. Do you have plenty of inbound leads flowing in from your website, events, tradeshows and other digital channels? If yes, congratulations – you have solved the number one challenge marketers face. However, filling the top of the funnel is only part of the equation. To get the most out of your inbound leads, you need a process for handling all those leads. Without an adequate support, influx of unqualified leads pouring into the sales funnel will make your sales team harder to manage and pay-attention to the hot leads. Although, automation could help at certain level, human touch points are an important part of the process and should be frequent. CNCData is the trusted marketing agency enabling companies to effectively manage their marketing funnel and deliver qualified leads to Sales. 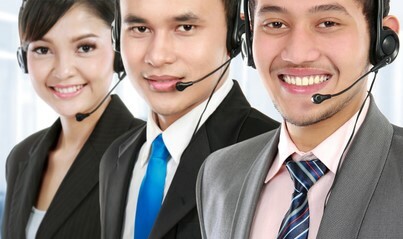 We have years of experience and infrastructure to supports various customers throughout Asia Pacific. Contact us and learn about our enticing process to convert your inbound leads into sales qualified leads (SQLs) and route them to sales immediately.